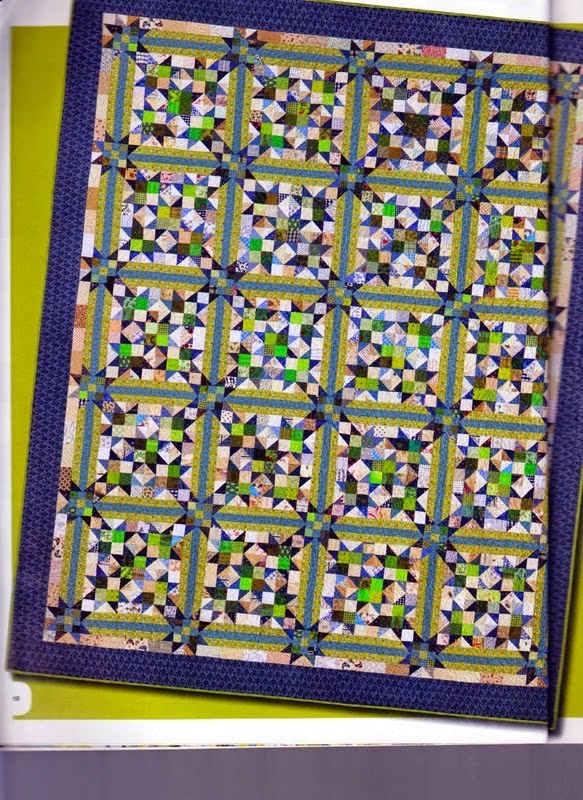 On the Design wall this week is the Feathered Star project from the workshop taken at Road to CA Quilt Show. One more Feathered star to go and then the setting triangles and blocks. This is a future UFO for this year. 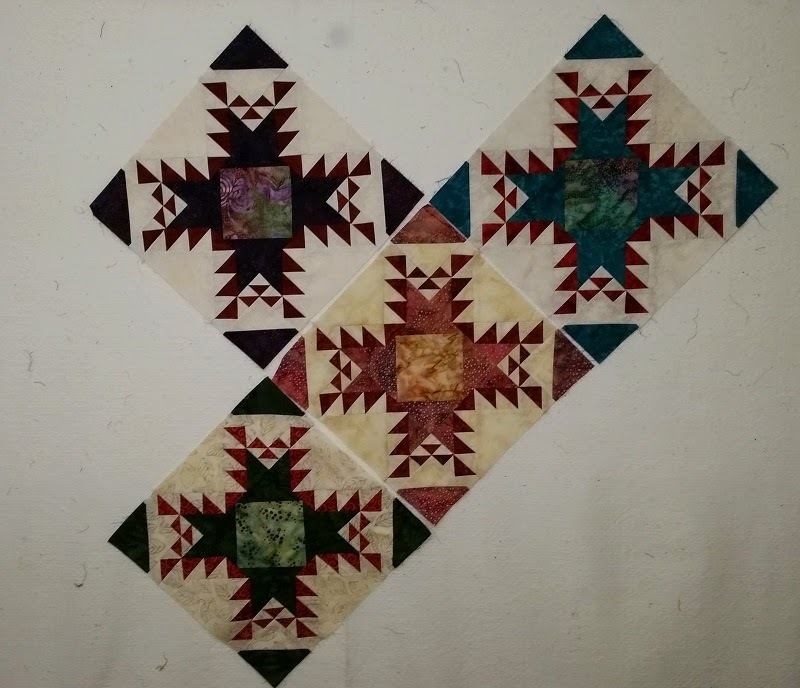 Also going to finish up the Grand Illusion Quilt, and get going on UFO for February which is another Bonnie Hunter Pattern called Scrap Crystals. Pretty ambitious for this week. Hope you have plenty of sewing time this week and can check out the other Design Walls at Patchwork Times. Love how your Batik Feathers project is coming along. Is the last block warm or cool fabrics?